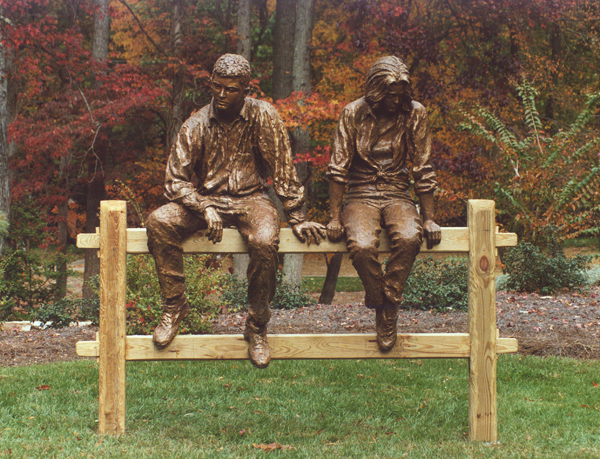 The meaning of the sculpture is the expression “sitting on the fence”; two teenagers are thinking over life and pondering which way they would go. I gave a hint of a relationship between the two teenagers, but that's merely to make one think and to give it this extra dimension. 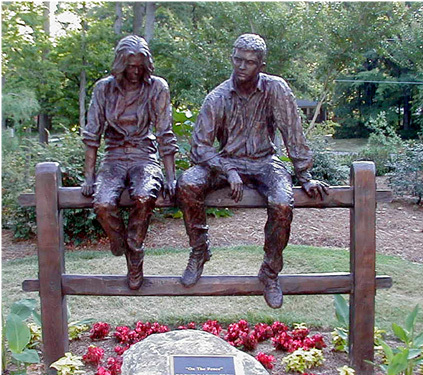 The sculpture was purchased by Greensboro Beautiful and is displayed at the Bicentennial Garden in Greensboro, NC. 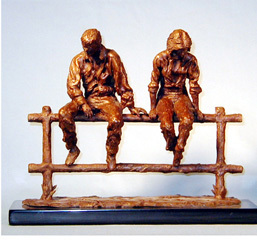 It is also available in a smaller 8 inch sculpture.